If you have ever filed an injury claim with an insurance company personally, you may have experienced certain tactics used by insurance adjusters that were frustrating, delaying or even rude or intimidating. Anyone who suffers an injury because of the negligence or wrongful conduct of another party has a right to file a lawsuit against that person. If the responsible party was insured, then you generally deal directly with the insurer by first filing an injury claim. By law, insurance companies have a duty to deal with anyone who files a claim against its policyholder, or with its own policyholder in an uninsured or underinsured motorist claim, in good faith. This includes making good faith efforts to settle your claim for reasonable compensation and within a reasonable time. Unfortunately, many insurers employ various strategies to unfairly deny coverage, to get you to settle for less than the claim’s value or to simply walk away. In many cases, claimants who handle their own claims do cave in and take whatever they can get or give up completely. If any of these circumstances were present while you tried to negotiate a car accident settlement claim or even claims involving truck accidents, document and describe the actions as best you can. Ask the insurance adjuster to send you a letter detailing the reasons for the low offer or denial of coverage, what investigation, if any, was performed and why duplicative or certain paperwork was required from you. You can also write to the insurer and include a log of phone calls that were not returned, letters unanswered, what was discussed, and the reasons, if any, that were given for the offer or lack of one. By doing this, you are creating a record that can be invaluable if a bad faith lawsuit is later filed. The insurer is required to conduct a timely and thorough investigation of your claim. This includes reviewing the police or traffic accident report, assessing the property damage of the vehicles, considering the statements of witnesses and evaluating your medical records and reports. If there is clear liability, property damage is substantial and your injuries are substantiated and documented, there is no good reason why an insurer cannot offer you reasonable compensation for your claim. Insurers do, however, have a right to make an offer that is less than what you believe is reasonable so long as they present evidence that challenges your claim such as minimal property damage to your vehicle, your delay in seeking treatment, inconsistent care, that you lost no time from work or the results of a physical exam conducted by a doctor of its choosing who minimized your injuries. Too often, however, these details are not present and the insurer delays or offers a settlement that no reasonable person would accept as supported by the available evidence. 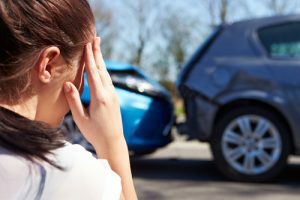 In a case like this, you will need an experienced car accident lawyer to review your case and determine if bad faith tactics were used and if a viable claim for bad faith against the insurer is present. Bad faith insurance actions are complicated and require strict adherence to certain rules regarding notice of the claim, details of alleged damages and filing deadlines. Only retain an experienced Boston car accident law firm like Burns & Jain they have successfully litigated such claims to handle your case to ensure your rights are protected and the benefits to which you are entitled are awarded to you.